Most of us are now aware that microplastics are an issue. Unseen plastics make life hard for those of us seeking to walk more lightly upon the planet. Cosmetics are one of the big culprits. When buying, it is frequently impossible to tell whether there are plastics within the contents, but certainly, those which have 'exfoliation' as part of their action need to be double checked. In fact, for cosmetics, we need to think even closer to home and ponder the effect upon our health with the continued use of such products. Here in the UK, Faith In Nature is one of the companies doing its utmost to set the balance right. Another bone of contention is the stuff used to cleanse - cotton buds, wipes, even cotton pads may be blended with synthetic fibres. Consider returning to good old soap and flannel, or crochet yourself some cotton-yarn washable eye-pads... or maybe purchase some konjac. The biggest culprit, though, is (again) the packaging. If something is available in glass or metal, it is a far better choice. Back in 2011, Pantene touted their new 'enviro-friendly' bottles for their Pro-V Nature Fusion range, but have not (as far as can be determined) converted all their bottles to the bamboo variety. Then there was the recent announcement from Lego, that they are moving towards the bamboo plastic. That is still plastic though... the main benefit of it, environmentally speaking, is the carbon footprint of its manufacture. Calling it 'bio-' is tad misleading. 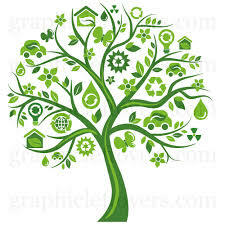 With volatile oil prices and growing concerns about greenhouse gas emissions, the chemical industry is looking for renewable alternatives to diversify its sources of raw materials. Sugarcane ethanol has emerged as an important ingredient to substitute for petroleum in the production of plastic. 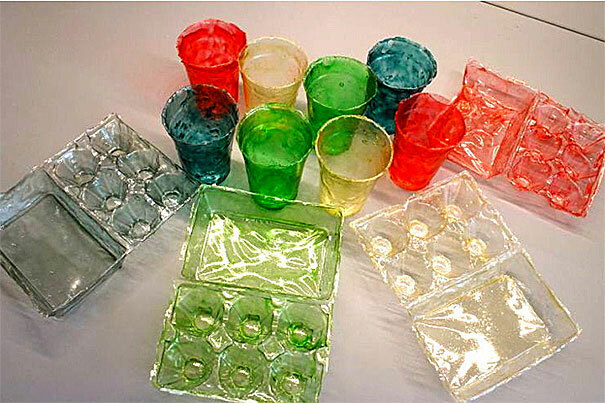 These so-called “bioplastics” have the same physical and chemical properties as regular plastic (the most common type is known technically as PET) and maintain full recycling capabilities. Not ideal, but steps in the right direction. A project at Harvard looks much closer to what we would hope; all natural ingredient and fully biodegradable... but it does involve the use of shrimp and therefore those who are also advocates of vego/vegan approach would have some issues with it. POSTSCRIPT; Here I am ten minutes before this goes live and the evening news has just announced that a large volume test has revealed microplastics in bottled water! Of course, because this is new research, all those with a vested interest are challenging the results and there are all sorts of disclaimers about 'no proof of risk to health'. Well, that's okay then. YAM aunty your post and all the research and links provided!! BRAVO and thank you for sharing this with us today. Ironically I have a bit of news on the plastic front. Our grocery store has a huge salad bar. They have had the clear plastic containers with flip lid for YEARS. I noticed today they now have the new containers made from recycled materials. They still have small plastic containers for dressing storage. Those paper containers would soak up dressing. But baby steps anyway. No worries about overuse of cosmetics in the household. A certain person is absurdly proud of the fact that she has never ever worn even a square millimetre of make up for a job interview and has never been unemployed! Excellent Info. I use only hand batched organic skin care, and wear little if any makeup. I don't know if they will ship to you (if they won't let me know and I will buy and mail), but a friend of mine makes a line of simple skin care that is in glass bottles, is organic, and cruelty free. It's the best stuff I've used for the price. It was something she made for herself and her family and when she lost her IT job, she started making it and selling it in farmer's markets and local health food stores. Awesome stuff. so much to fret over, and i am a really good or maybe really bad fretter. had not thought about plastic in items like this or cotton pads, just checked mine to see if they are all cotton, it says 100 percent cotton but who knows if we can believe that. it is in a plastic sleeve. All this plastic can be so overwhelming. We really need to get manufacturers to lead the change but we must be ready to pay more fore things.